You can book just about every aspect of travel online, and just a few years ago, headlines predicted the demise of the travel agent. Guess what? For discerning luxury travelers, agents are not only surviving, they’re thriving, and if the best vacation possible is your goal, you should probably use one. There are many good reasons, but it starts with the fact they they know more than you do—and more than the average Travelocity or Yelp user do—about luxury travel. They are also better connected, have access to special VIP benefits, and can still often beat any prices available online, especially for first- and business-class airfares. Having a top travel agent makes you an instant VIP, with free room upgrades, difficult-to-snag restaurant reservations, and private access to stores and exhibits. Finally, after reservations and plans are made, travel agents provide a safety net during your trip if anything goes wrong, like a flight cancellation. Would you rather join the huge line at the airport to argue with the harried airline employee, or simply dial up your travel agent? In many cases they’re monitoring flight updates in real time and will have you rebooked by the time you call. The best agents aren’t there to print tickets; they’re more like travel advisors—essentially consultants—and it’s their advice, expertise, and connections that are of great value. Once they get to know you and your wants, likes, and dislikes, they can make suggestions accordingly. For comparison, go read reviews and ratings in Travelocity and TripAdvisor, which skew to the low end of travel because it’s a numbers game. If readers are giving the airport Radisson four-and-a-half of five stars, how can the Ritz Paris or Peninsula Hong Kong be differentiated? Googling “Villas In Italy” yields more than nine million results; that’s a hefty load of research to take on yourself with no prior knowledge, starting point, or inside information. Many of the top travel agents have banded together in consortiums that give them combined clout for benefits they can pass on to you. At the luxury end, the best such group is Virtuoso. Virtuoso is to agents what Relais & Chateaux or Leading Hotels of the World are to lodging: an elite association of the best independent agencies, with high standards for membership. There are about 350 Virtuoso agencies and all have negotiated special privileges with affiliated hotels such as the Park Hyatt Beaver Creek Resort and Spa and Ritz-Carlton Bachelor Gulch in Beaver Creek, Colorado. These are widely known as two of the best luxury ski resort hotels in the world, and whether you book yourself or through most agents, you’ll pay the same rate. A Virtuoso agent, however, throws in extras like room upgrades, late check-out, early check-in, and a variety of other perks. Sometimes it’s the knowledge that matters the most. Luxury hotels with “club floors,”—special VIP levels with private concierges and lounges, usually serving complimentary breakfast, afternoon cocktails, snacks, and more—are very popular amenities at top business hotels in Asia, but they’re rare in the United States. Among top ski resort hotels, the Ritz-Carlton Bachelor Gulch is one of the few with such a club floor. Virtuoso agents all know this, and steer customers who will appreciate such an amenity that way. Chances are, if you browsed several top-tier ski hotels online, you would never know. More than just lodging intel, a good travel agent has the scoop on the actual skiing at the mountain. Consider this: A single mom, group of moms, or friends hosting a girls’ getaway is planning a ski trip together. If the kids are in tow, every major resort has a ski and snowboard school, so you can sign your kids up for lessons wherever you go. But a top agent will know that Beaver Creek is the only resort in the country with daily two-hour, women-only, guided mountain tours, led by certified ski instructors who dispense tips—all absolutely free. These tours were created just to make life better for women travelers, and it’s not something on which you’d necessarily zero in during your own research. In addition to a good travel agent, using hotel concierges can also help make a good trip great, though fewer and fewer travelers take advantage of this service, which is already included in your room rate. If your trip falls at a peak time like Christmas or spring break, why not cover your bases and make the important dinner reservations in advance, or book popular activities like dog sledding to ensure your activity of choice isn’t sold out? A simple email or phone call to the concierge at your hotel can cover all of this easily and enhance your luxury vacation experience. Beaver Creek and sister resort Vail have created the Prima Concierge—the first service of its kind in the industry—just to provide this kind of assistance to visitors, even if they’ve booked a condo or rental home instead of hotel. A membership service, Prima offers special one-on-one VIP consultation to resort guests, with a dedicated phone line and local expertise you simply cannot get elsewhere. Prima concierges can book everything from private lessons to guided off-mountain adventures to airport transfers, and even pre-stock your condo’s refrigerator. 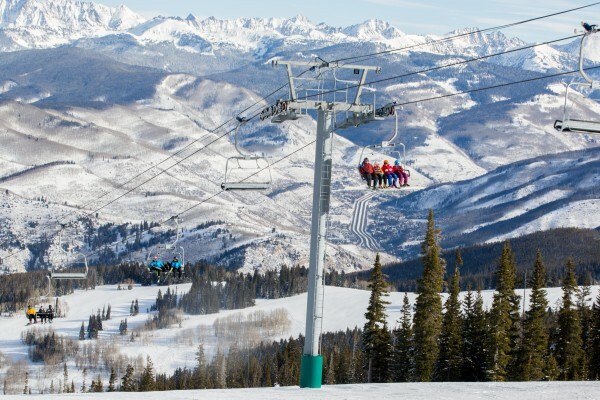 This kind of service, unique to Beaver Creek, is just one more thing that makes true luxury travel hassle-free. 2016-17 Winter Season Dates Announced! With the 2015-16 season behind us, it’s time to start planning for next winter! Beaver Creek will open Wednesday, Nov. 23, 2016, and operate through Sunday, April 16, 2017. So what are you waiting for? Start planning your next Beaver Creek escape. 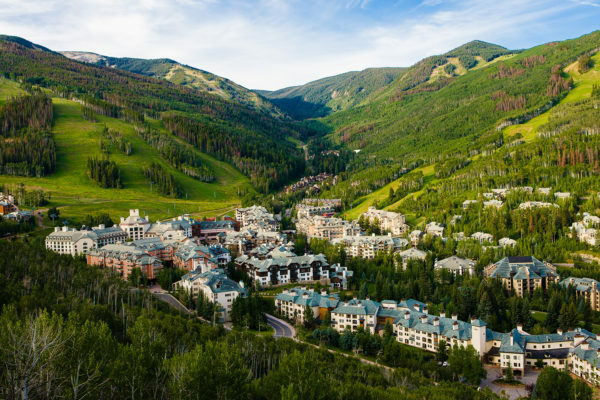 That incomparable elegance, world-class events, and gorgeous Rocky Mountain setting that you’ve come to know at Beaver Creek in winter take on a whole new meaning in summer.